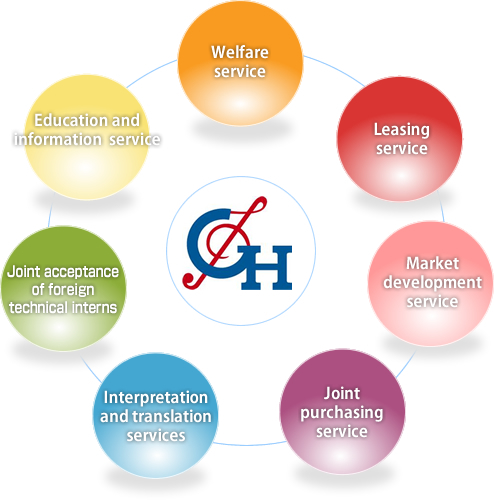 Support for overseas business expansion of the member companies (consulting service). Joint purchase of prepaid international calling cards and joint procurement of raw materials for the members of the association. 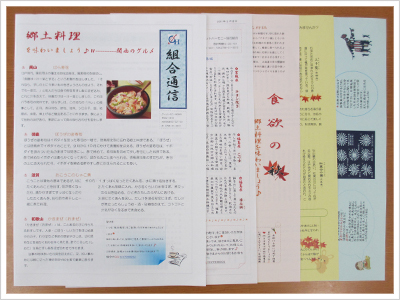 Issuing of "Seasonal Information" bulletins and provision of Chinese lessons. Provision of workbooks and other books, DVDs and CDs for the members with no charge to support their studies for the Japanese Language Proficiency Test and Chinese language.